Join more than 500 artists of every conceivable medium who live, work, or regularly exhibit in the Prince George's County Gateway Arts District: Where artists are valued as permanent community assets. 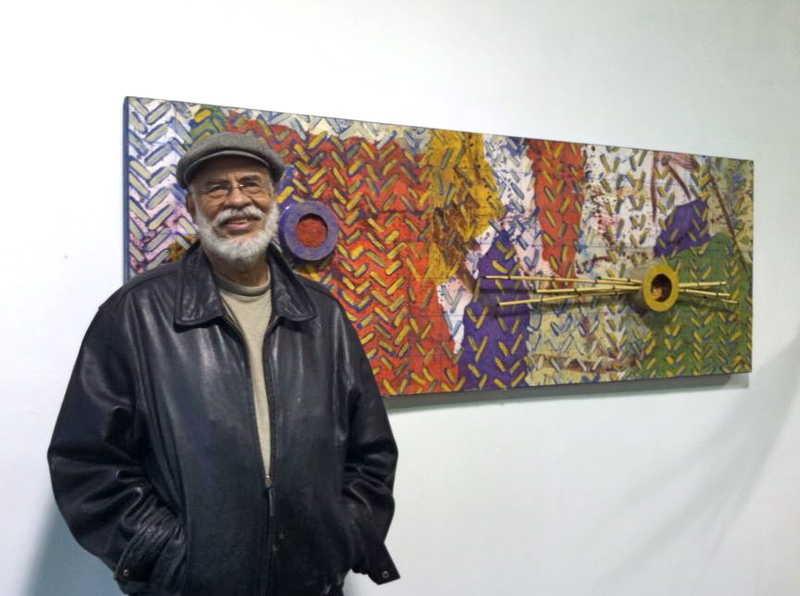 The Prince George's County Gateway Arts District Artists Directory is an extensive directory featuring the work of artists who live, work, and regularly exhibit in and near the Gateway Arts District. Artists and artisans do not need to have studios to join. Those with have studios within or nearby the Gateway Arts District may also list their regular studio hours, and by doing so will be listed on our mapping tool. Artisans with mobile businesses may also join. Artists who are also owners of nearby brick-and-mortar businesses, are also invited to add their businesses to our Business Locator (there's an option when joining the artists' directory). Learn more about how the directory works on our Frequently Asked Questions. Note, this directory is Gateway-specific. We also recommend you join these artist registries too. * = Did you know? The Hyattsville Community Development Corporation created an Artists Census that concluded Spring 2018. Plans to upgrade the public MyGatewayArts.org Artist Directory and the internal artist census are upcoming. Artists need only add themselves to the MyGatewayArts.org Artist Directory to be counted in the census. 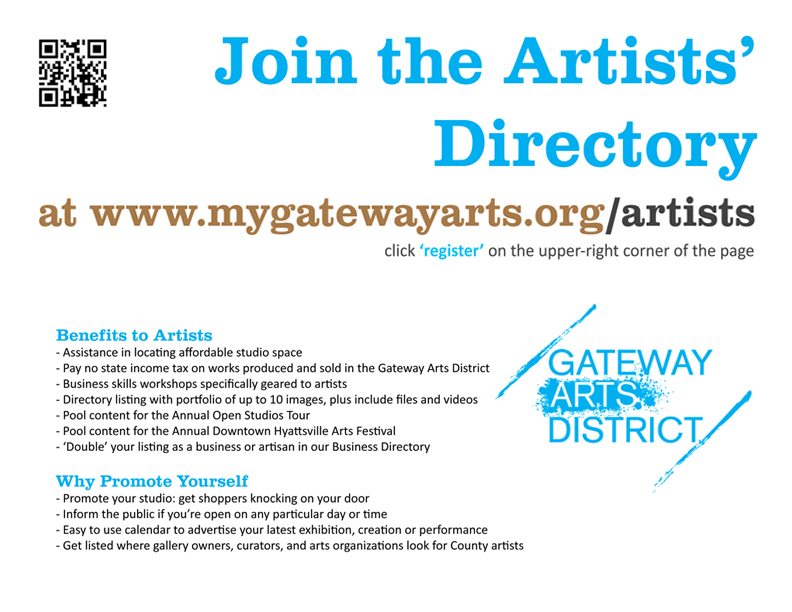 You will need to register with MyGatewayArts.org to create a directory listing. This will also enable you to edit your listings once they are published. Click here to register with us.